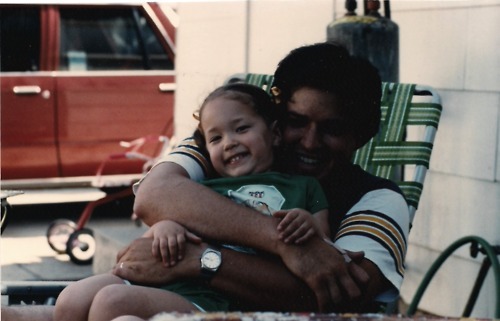 Me and Dad in my grandparents’ backyard in LA. I’ve actually already said Happy Father’s Day to my Dad, since I called him up last night in order to be officially first among my siblings. Win! But even though I’ve already said it to him, I couldn’t let the day pass without letting you know how amazing my father is. He’s always been my biggest fan and supporter, even when it meant I would move clear across the country and could no longer to attend the Sunday dinners he works so hard on every week. My father patiently coached my mediocre soccer skills over the years, made me hold his hand even when I went through that phase when I didn’t want to, tears up at the schmaltziest greeting card (and may even be tearing up right now, in fact), and would do anything within his power for his wife, children and grandchildren. And has worn an earring since the mid-80s. And maybe wears a pinky ring now. 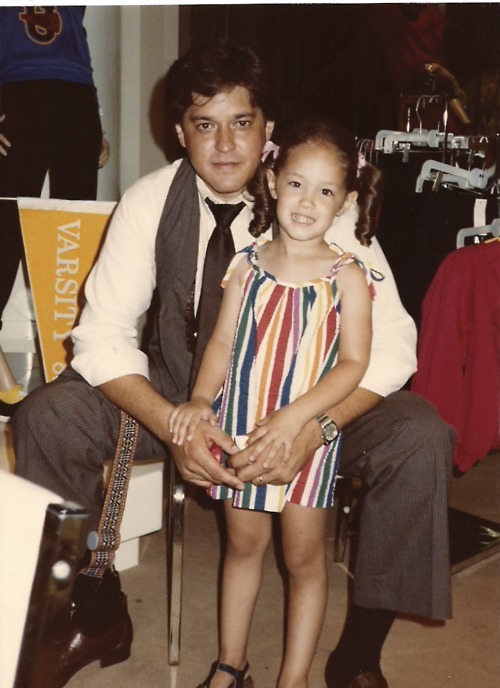 Me and Dad at a Macy’s fashion show. I was the one that was modeling that day, but can we talk about the brown three-piece suit my dad is sporting? His loafers? That amazing camera strap draped over his knee with the little loops for the film cannisters? At Christmas — what a little ham sandwich I am being! Also, his tassels and the shag carpeting = awesome. Taking advantage of a “picture spot” in our matchy-matchy shirts. 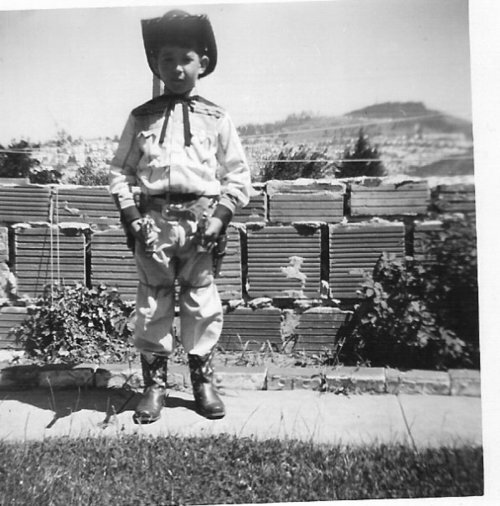 My dad as a boy in San Francisco. Special shout-out to my Mom, who sent these pictures to me. Thanks, Mom! To my first born, if anyone knows how to turn on the water it is you…My entire life as a husband and a father it was never how big gifts could be or the expense. What gave me the feeling of accomplishment were the simplest things made from the heart. 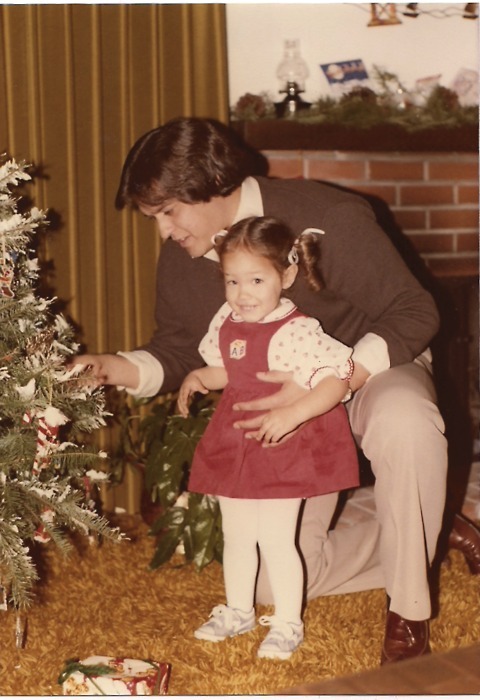 From the hand prints in plaster from 2nd grade to the elaborate books of memories you put together for me on xmas and birthdays… You knew when I opened your gifts since the tears of joy and love would flow as they are now as I am typing. I hoped in my prayers Mom and I provided the foundation from which to grow, that you and your siblings could feel you always had somewhere to turn. As you know I lost my dad at an early age and I always wanted to be here to see my family grow and have someone to turn too.. I have always held my family close so if you needed someone to turn to I was there…. Although you are some 3,000 miles away you always find time for the old man. My wishes have been given and I am proud to have 3 loving and beautiful children. I am extremely proud of you and your accomplishments and sense of responsibility, including completing one of the most difficult of marathons known to man…. The mere training you had to endure leading up to the event took extreme dedication, it did not matter if won or lost but completed what you started! I know you saw the many people on the side of the road that had come to the end of their endurance but you continued on to the conclusion. To let you know a secret I was up that morning watching the race the entire morning just wanting to catch a glimpse of you. Oh by the way, your soccer skills were never mediocre. You were the anchor of the team, the never quit attitude… I could only coach 18 young ladies, give then the desire to play and play well. It was and always has been your determination as a leader and you always lead by example. Besides who else could score from 50 yards out and zing it past the goalie? None other than Mariah Kunkel! The look on your face was priceless, the feeling as a dad seeing you score excitement, but the reaction was one of, I have been here before!!!! So to my First Born I am proud to be your Dad!!!! Aww, I love you too, Dad! How lovely Mariah! 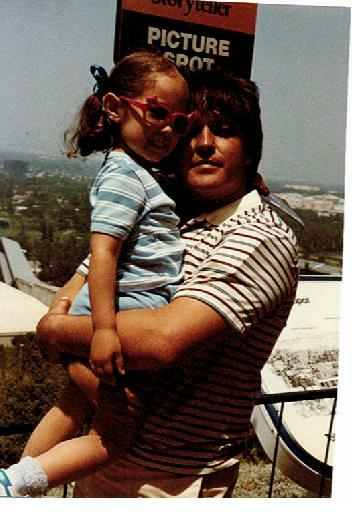 Those picttures are lovely and your dad was (is) very handsome. He looked like Eric (k?) Estrada! And you were adorable. Yes you have been lucky to have such a wonderful dad! Lovely post M! Your photos with your dad are too precious as well. Thanks for sharing this special post. You are currently reading Happy Father’s Day at Quite Continental.